When it comes to user-friendly design and quality in equipping your paste preparation room, do not make any compromises. Rely on the equipment that gives you the best in state-of-the-art technology: the IPS sigma. 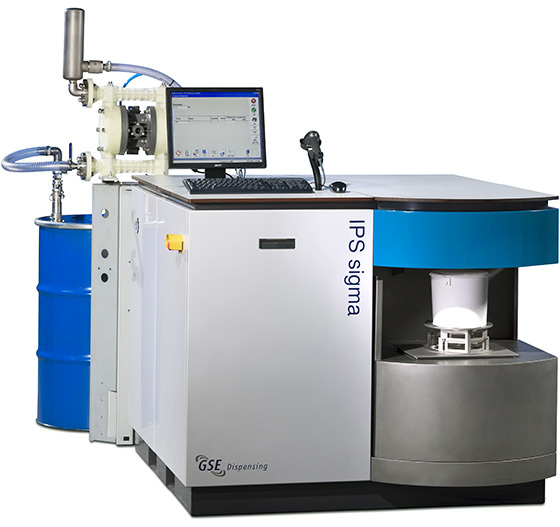 The IPS sigma is designed for t-shirt printers and users of relatively low paste volumes. It is specifically suitable for dispensing production batches of liquid pigment dyes, chemicals, thickenings or lacquers into 5-litre (~1-gallon) buckets.